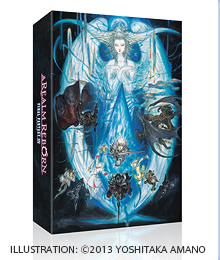 A Collector's Edition exclusive box featuring an illustration by famed FINAL FANTASY artist Yoshitaka Amano. 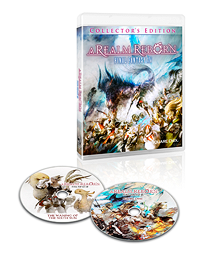 This art book features a host of artwork made for the development of FINAL FANTASY XIV: A Realm Reborn by Art Director Akihiko Yoshida and his team of artists. 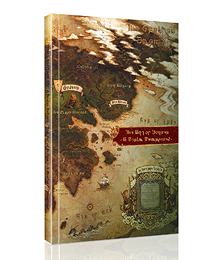 Witness the dawn of the Seventh Umbral Era that brought destruction to the realm of Eorzea... This special video offers a deeper understanding of the world of A Realm Reborn by showcasing the journey that the "Warriors of Light" embarked upon as they headed towards the Seventh Umbral Era. Adventurers will be able to ride a variety of mounts for transportation in A Realm Reborn─including chocobos, magitek armor, and more! With this bonus, you'll be able to hop aboard a coeurl or fat chocobo as you explore Eorzea's landscapes! 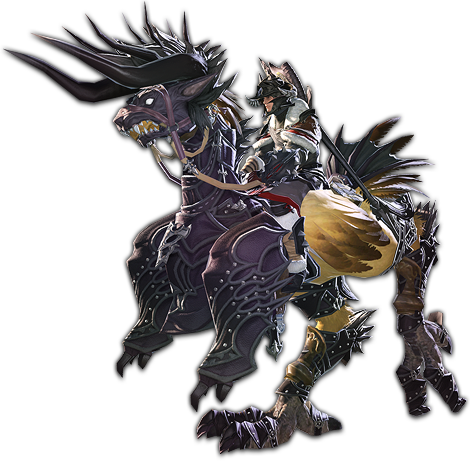 * Players will be able to ride mounts once they have reached level 20 and have obtained a chocobo. In A Realm Reborn, adventurers will be able to do battle against the ferocious enemies of Eorzea alongside their personal chocobo, as well as equip their trusted companions with unique armor! The Collector's Edition includes special Behemoth-themed armor that you can outfit your chocobo with! 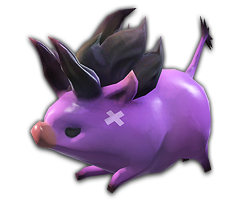 * Players must first reach level 20 to obtain a chocobo before they can outfit it with barding. Adventurers can often be found with their own personal minion by their side as they tame the wilds of Eorzea. 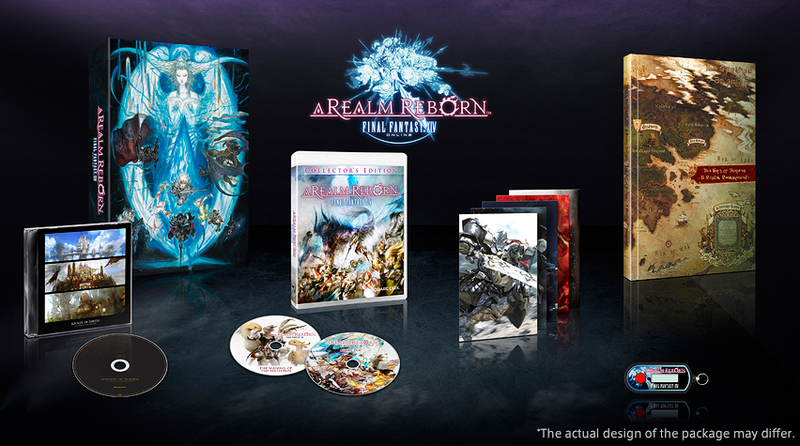 The Collector's Edition comes with a wind-up moogle and baby behemoth minion! 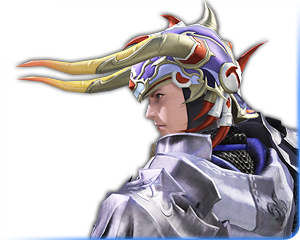 The design of this headgear is based on the helmet worn by the Warrior of Light from FINAL FANTASY I and can be equipped by all classes at level one. 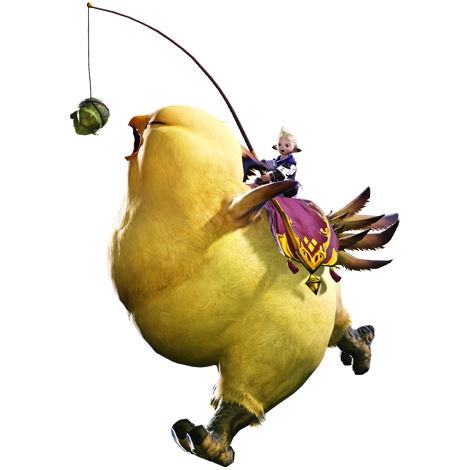 The fat chocobo mount and wind-up moogle minion are bonus items introduced with the PlayStation®4 release. Owners of the PlayStation®3 or Windows® Collector's Editions will automatically receive these items. 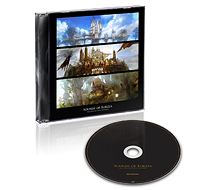 This Collector's Edition exclusive soundtrack features beautiful music from the cities and fields of Limsa Lominsa, Ul'dah and Gridania where many adventurers are sure to spend their time. 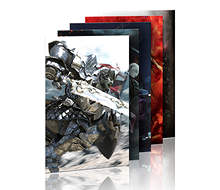 Five art cards featuring stunning, highly detailed CG art brought to life by Square Enix Visual Works. 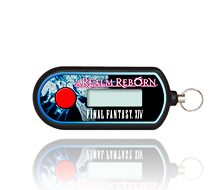 Rest easy knowing that your Square Enix account is secure with a uniquely designed security token. Details about the security token can be found here. 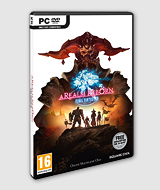 FFXIV: A Realm Reborn is available on Windows®PC, PlayStation®3, and PlayStation®4, and players from all three versions will be able to play together regardless of the version they purchase! It is possible to play with the same account on the Windows®, PlayStation®3, and PlayStation®4 platforms. 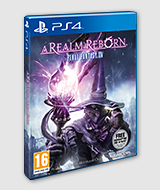 Customers who own a copy of FFXIV for Windows® and wish to use their account on the PlayStation®3 or PlayStation®4 version will need to purchase an additional copy for the desired platform. In order to use your characters on multiple platforms, you must tie your existing service account to the PlayStation®3 or PlayStation®4 version upon launching the game on that platform for the first time. Similarly, customers who own a copy of FFXIV for the PlayStation®3 or PlayStation®4 and wish to use their account on the Windows® version will need to purchase a copy of the Windows® version. However, please note that your account will only be able to log in to one platform at a time. 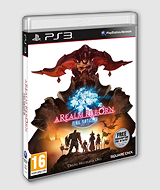 Multiple copies of FFXIV: A Realm Reborn for PlayStation®3 and PlayStation®4 may be registered to a Sony Entertainment Network account. Please note that only one Sony Entertainment Network account can be linked to a Square Enix account, which allows up to eight service accounts. PlayStation®3 users will also have the option to upgrade to the PlayStation®4 version free of charge. Review details of the PlayStation®4 Upgrade Campaign. 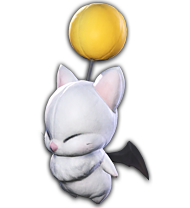 Users who pre-ordered the Windows® or PlayStation®3 version of FINAL FANTASY XIV: A Realm Reborn and received the Cait Sith doll minion and Moogle Cap bonus items will not receive additional bonuses for pre-ordering the PlayStation®4 version. Additional bonus items have been introduced with the PlayStation®4 release. Owners of the PlayStation®3 or Windows® Collector's Editions will automatically receive these items via the moogle delivery system upon the official release of the PlayStation®4 version.